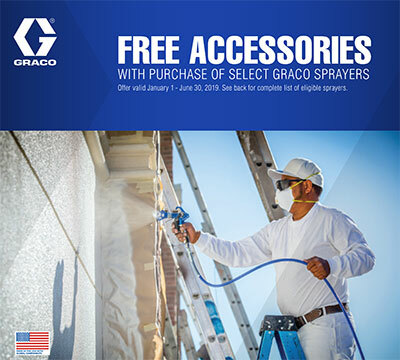 The New Standard Series GMAX II 7900 sprayer is the most powerful and Graco's largest sprayer for high production paint contractors doing large tract, commercial and new residential construction jobs. 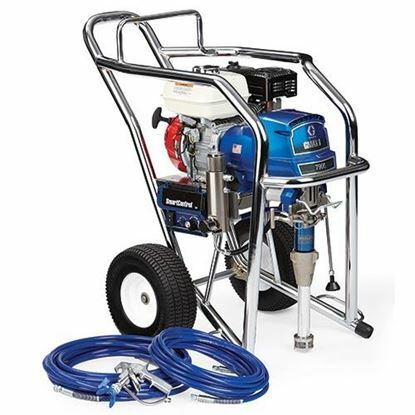 With the ability to spray up to 2.2 gallons per minute. 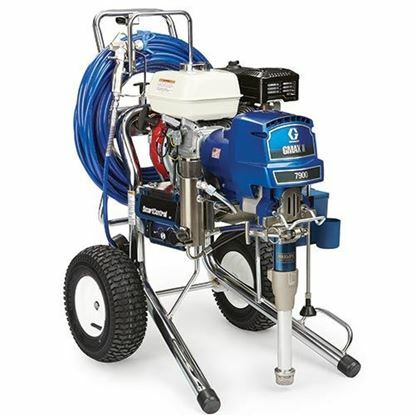 The Graco GMAX II 7900 is equipped with the MaxLife Extreme-Duty Pump that will keep you working by running 6 times longer between repacks. The SmartControl pressure control helps deliver a consistent spray fan without any pressure fluctuations. BlueMax II Airless Hoses 1/4" X 50 ft.
BlueMax II Whip 1/4" X 3 ft.